We are a renowned name providing treatment for sleep disorders and sleep related issues from adults to pediatrics. We are located in Maharashtra, India. We are backed by a team comprising professionals and sleep specialists who coordinate with client conduct examination in a comfortable environment, determine the appropriate testing and develop an effective plan to unlock the secret of sleep. Clients can approach us anytime for queries and further discussions. Sleep Disorders : Symptoms & Types : If you have trouble getting to sleep or sleeping through the night, if you wake up too early or have a hard time waking up at all, or if you are overly tired during the day, you may have one of the following sleep problems. Sleep Problems in Children : Children and adolescents need at least nine hours of sleep per night. Sleep problems and a lack of sleep can have negative effects on children's performance in school, during extracurricular activities, and in social relationships. Snoring : Occasional snoring is usually not very serious and is mostly a nuisance for your bed partner. However, if you are a habitual snorer, you not only disrupt the sleep patterns of those close to you, but you also impair your own sleep quality. Parasomnias : Parasomnias are disruptive sleep disorders that can occur during arousals from REM sleep or partial arousals from non-REM sleep. Parasomnias include nightmares, night terrors, sleepwalking, confusional arousals, and many others. Nightmares in Adults : When you wake up terrified from a disturbing nightmare, you might think you're the only adult who has them. After all, aren't adults supposed to outgrow nightmares? Night Terrors : Night terrors in children are distinctly different from the much more common nightmares. Night terror symptoms are frequent and recurrent episodes of intense crying and fear during sleep, with difficulty arousing the child. Bedwetting : While bedwetting can be a symptom of an underlying disease, a large majority of children who wet the bed have no underlying disease that explains their bedwetting. Teeth Grinding (Bruxism) : Occasional teeth grinding, medically called bruxism, does not usually cause harm, but when teeth grinding occurs on a regular basis, the teeth can be damaged and other complications can arise, such as jaw muscle discomfort or TMJ pain. REM Sleep Behavior Disorder : In a person with REM sleep behavior disorder (RBD), the paralysis that normally occurs during REM sleep is incomplete or absent, allowing the person to "act out" his or her dreams. Hypersomnia (Daytime Sleepiness) : Hypersomnia, or excessive sleepiness, is a condition in which a person has trouble staying awake during the day. People who have hypersomnia can fall asleep at any time -- for instance, at work or while they are driving. Sleep Paralysis : Have you ever felt like you were awake but unable to move? You might have even felt afraid but could not call for help? This condition is called sleep paralysis. Sleep-Related Eating Disorders : Sleep-related eating disorders are characterized by abnormal eating patterns during the night. 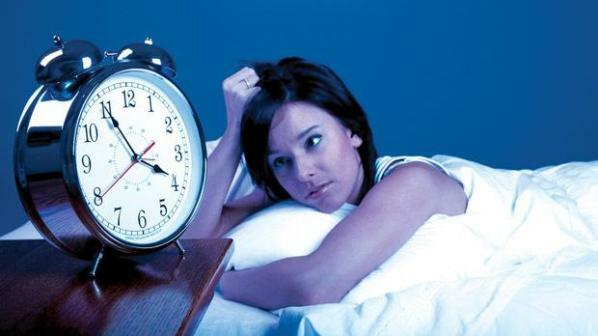 Shift Work Sleep Disorder : Shift work sleep disorder is trouble sleeping because you work nights or rotating shifts. You also may have this problem if you have trouble staying awake or alert when you are supposed to work your shift.